Enjoy the magic of music in our vinyl Mojo bar. Vintage, but still the best way to listen music is superior vinyl LP records with peerless quality sound. That's why we have a lot of records on the walls. You can play any records you want to listen from our growing vinyl collection. Come, enjoy and listen the music you love, create an atmosphere yourself while mingling with other travellers. At our bar we have piano, acoustic guitar, big screen TV with lot of cult movies and billiard table! Enjoy one of the best beers Czech Republic can offer and meet some new friends. Please note that in this Hostel we don't have a kitchen or any other cooking facilities but we do know where to get the best food in town! 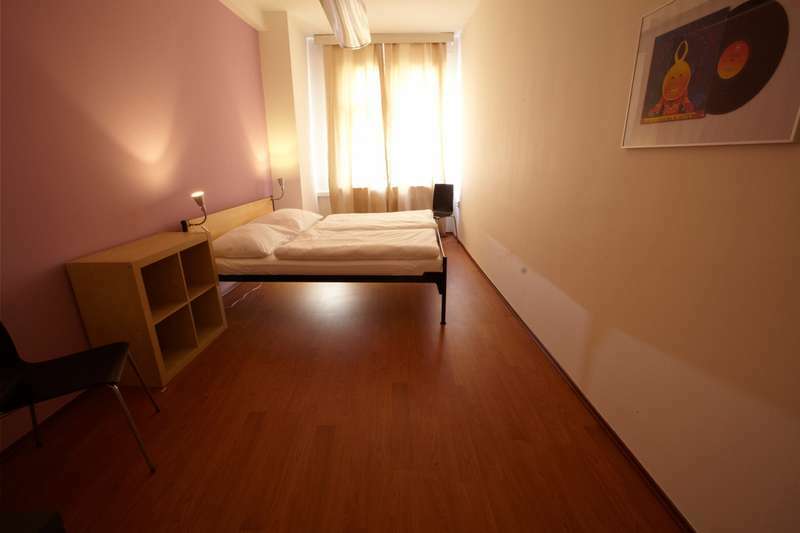 We offer you a nice, cheap, and clean accommodation where you will feel safe! 24/7 reception, NO curfew, NO lockout! Free breakfast: for all reservations made for Jan 1st until March 31st 2014 breakfast INCLUDED IN PRICE! 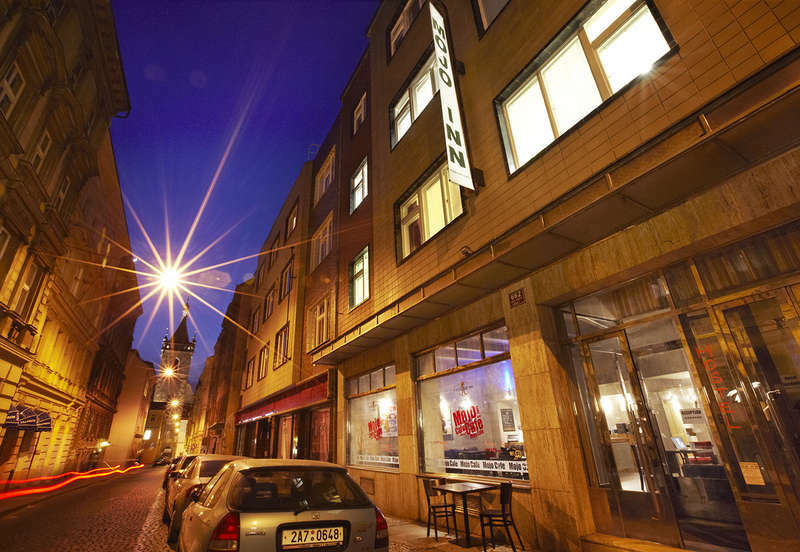 From April 1st 2015: "all-you-can-eat" BREAKFAST 70 CZK. bright and spacious rooms and a vintage vinyl Mojo bar! 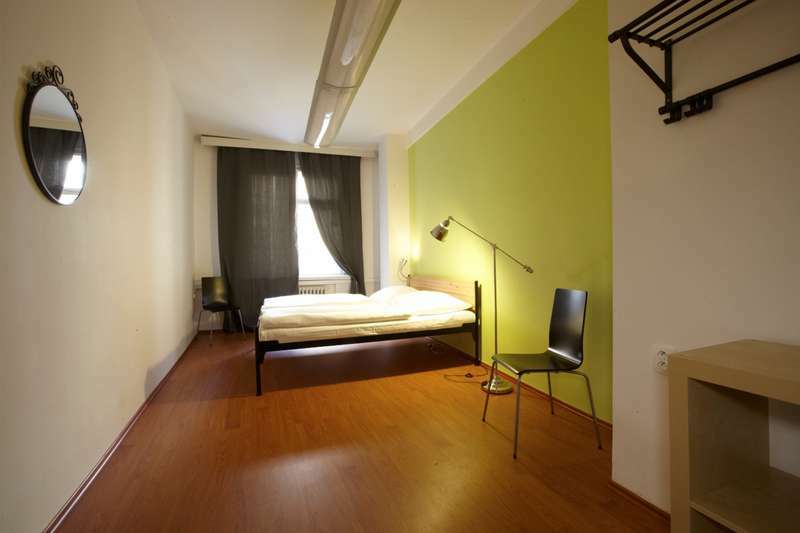 Super-comfortable beds, each with it's own locker and reading light, spacious dorm and private double rooms. No stags, no school groups. We only accept group bookings of no more than five people. Anyone caught breaking this rule will be charged for the whole stay and have their reservation canceled. FEEL FREE TO USE OUR SAFE – LOCKERS – FAST INTERNET, WE HOPE YOU’LL STAY IN OUR HOSTEL FOR AS LONG AS POSSIBLE HOWEVER, IMPROPER BEHAVIOR MAY SHORTEN YOUR STAY: DO NOT USE OTHER BEDS THAN YOURS, DO NOT DISTURB ANOTHER GUESTS. DO NOT SMOKE IN THE ROOMS OR THE ENTIRE HOSTEL! For disrespecting the NO SMOKING RULE you will bi fined 50 EUR. In a case that you cause damage at our hostel (broken keys, windows, furniture and similarly) your card will be charged as high as damage. In a case that damage is bigger than 100 EUR we will contact authority first. Also, please note that guests without a basic level of hygiene, which with its unpleasant smelt bother other guests, will be evicted from the hostel without financial compensation. After guests payment is done at check-in there will be no refund. We do accept Card payments only above 1250 czk, 50 EUR or 60 USD. Check-in from 11:00 AM, Check-out till 10:00AM.